Because people sweat when they do yoga, keeping your mat clean is essential if you want it to have a long life and stay hygienic. A lot of cleaning products contain unnatural chemicals and potentially harmful substances, which is where the Jo-Sha company comes in. Developed in the USA as a natural way to clean yoga mats, Jo-Sha wipes are convenient and effective, with natural essential oil scents enhancing your practice as well as keeping your mat hygienic. They're even safe to use on your skin. 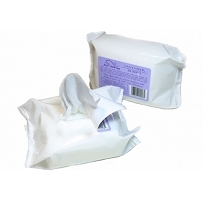 Since its foundation, the company has seen its wipes used widely around the world, as its natural values are fully in line with a holistic yogic approach.